Home » How to keep workplace culture intact as SMBs grow? 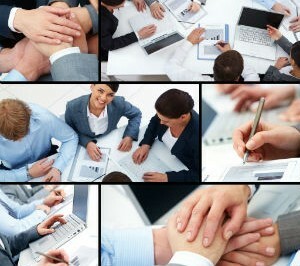 » Blog » How to keep workplace culture intact as SMBs grow? It is quite obvious that a strong corporate culture helps retain employees and improve engagement. As culture may be an ambiguous concept, more often than not, smaller companies consciously create a more conducive culture. However, as SMBs scale up they are often left wondering how to define their culture to a new group of hires. Typically, most companies simply assume that culture is something they cannot control and do nothing about it, which inevitably leads to dissatisfaction in the workplace. We have experience with growing SMBs and here we highlight some of the methods these companies have taken to keep culture intact. 1. Even as you scale up, keep the core of your company the same. Changes should be operational or procedural; what you, as a company, stand for must be kept intact. Often companies find that systems which used to operate like clockwork suddenly do not fit as well. This is simply a part of realizing that the qualities that carried a small company this far may not work to take them further. The trick is to allow for changes in processes while sticking to your core values. 2. Small companies are often reliant on two or three people that have stayed with them through tough times. However, as you grow sometimes it is necessary to relieve these long timers if they are unable to keep up. While this kind of thinking may seem unpleasant, it is critical to avoid lowering employee morale and creating a weak link in your company’s growth. 3. In growing SMBs, each hire matters and so there needs to be a general consensus on who gets the job. And once the person is onboard, everyone must support the new hire and offer them as much support as possible. This is crucial as the sooner employees build connections and get comfortable, the more productive he/she will be. 4. Use performance appraisals judiciously – it helps you identify your best people and guide others who are floundering with training and mentoring. Growing companies need to make their strengths stronger while rooting out weaknesses and appraisals are an impartial and effective method to do so.